People don't often look back on the early 1900's for advice, but what if we could actually learn something from the Lost Generation? The New York Public Library has digitized 100 "how to do it" cards found in cigarette boxes over 100 years ago, and the tips they give are so practical that millennials reading this might want to take notes. 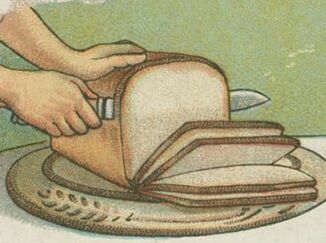 The difficulty of cutting new bread into thin slices can readily be overcome by the following expedient. Plunge the bread knife into hot water and when thoroughly hot wipe quickly. It will be found that the heated knife will cut soft, yielding new bread into the thinnest slices.